Seen any weird looking veggies at the fresh fruit stall, and you don’t know what to make of them? If you can’t make head or tail of some of these weird looking produce and you’re not sure whether you’re supposed to eat them or use them as doorstops, travel to the homeland of the strange vegetable see what the locals do with it. Some veggies that look weird or inedible to you are delicacies at their place of origin, and since it’s better to eat a dish when it’s prepared in the country where it comes from. So if you are eager to experience some new tastes and textures, her’s a list of some weird vegetables and where to eat them. Tomatillos are somewhat similar to tomatoes, like the name says, and they are a fruit rather than a veggie, but they are mostly used in savory dishes. They are encased in a thin husk, but once you remove it, you find a fruit that looks like a small green tomato. 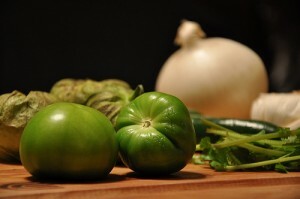 In Mexico and South American countries, tomatillos have been used for centuries, mostly in sauces – it is one of the main ingredients for the delicious salsa verde. Chayote has been used for a long time in Central America, and its cultivation has spread into faraway corners of the world like New Zealand, the Philippines or Nepal, but it’s more difficult to find in the US or Europe. 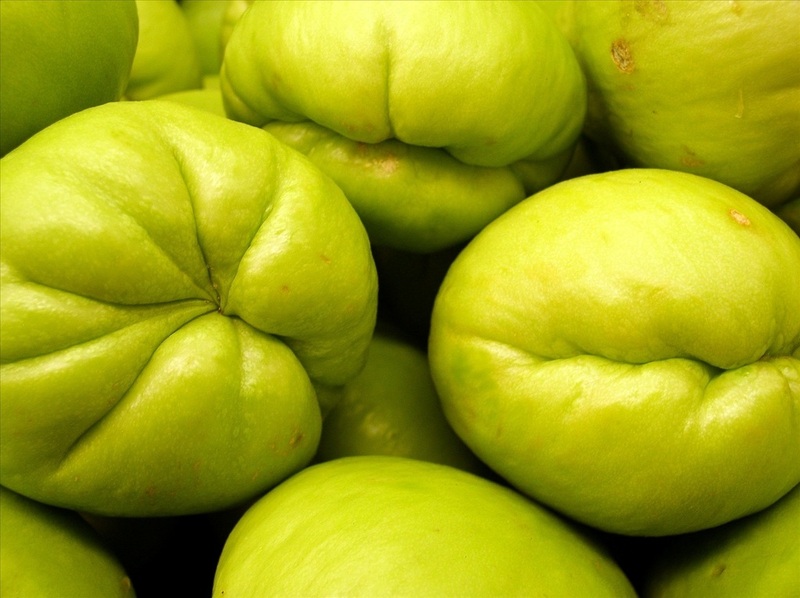 The chayote is a type of gourd that that be eaten raw or cooked and has a pleasant flavor similar to zucchini. Costa Rica is the main cultivation region, so you’re likely to find a lot of chayote if you travel there. 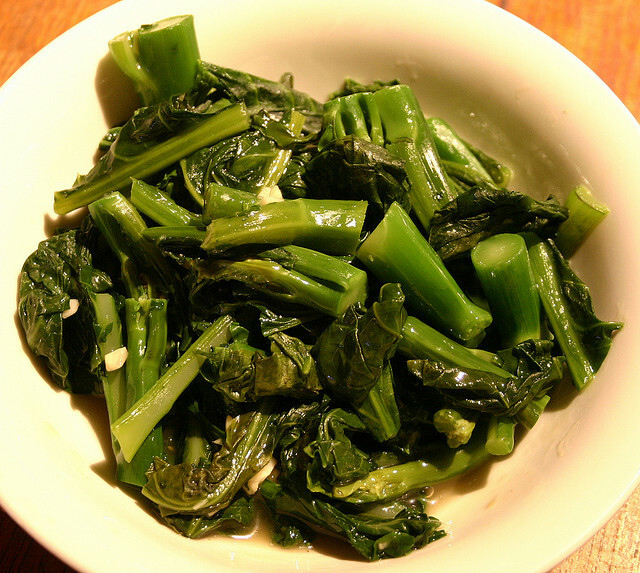 Kai-Lan, also called Chinese broccoli, is a leafy vegetable with lots of tiny white flowers that look like miniature broccolis. In Chinese cuisine, Kai-Lan is often steamed or boiled, served with oyster sauce, or stir fried and served with other vegetables. Look for it at places with Cantonese cuisine, where it’s widely used. If you happen to see Chinese artichoke at a market stall, you might think that what you’re seeing is a pile of caterpillars. Chinese artichoke is not pleasant to look at, but it’s very tasty, and despite appearances, it is a root vegetable. In China, the tiny tubers are picked, and in Japan they are used to prepare traditional New Year’s dishes, or died with red bean paste and called chorogi. 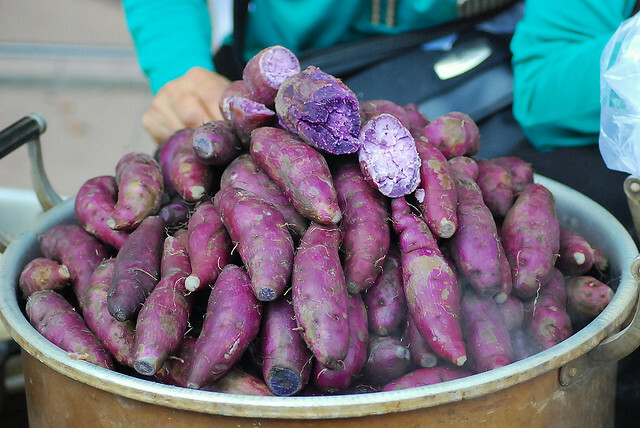 Native from Okinawa but grown in large quantities in Hawaii, purple sweet potatoes taste almost exactly like regular sweet potatoes but they have bright purple flesh. In Japan they are roasted and sold as a street food, baked into pastries, fried as tempura or made into sweets. The purple sweet potatoes from hawai are my favorites! imagine them as mashed potatoes, yummie and beutufull looking as well! !